It’s your chance to win one of three Weleda Cleaner Beauty Collections. The set includes a Gentle Cleansing Foam, Citrus Deodorant, Tinted Lip Balm, Beauty Balm, Sea Buckthorn Body Wash, Birch Body Scrub, Birch Cellulite Oil, Calendula Toothpaste, Ratanhia Mouthwash, Arnica Muscle Soak, Aknedoron Purifying Lotion and Weleda Skin Food, to set you well on your way to cleaner beauty. Together with a wooden body brush, organic cotton flannel and cotton headband, the NATRUE-certified collection is worth over £150! In Beauty has teamed up with Green People to offer readers the chance of winning one of three Gym Bag Heroes, worth £39.95. Be ready to go wherever your workout takes you with Gym Bag Heroes, a new limited edition kit from Green People for Men. This brushed canvas wash bag includes a skin cleansing detox shower gel, invigorating shampoo and refreshing natural deodorant, to stimulate body and mind; however hard you work out. Jason Family Sunblock SPF45 non-greasy, tear-free, water-resistant formula provides the broad spectrum UVA/UVB protection necessary for the whole family. The Family Natural Sunblock SPF45 helps protect skin from the sun burn and reduces harmful free radical damage caused by the sun’s ultraviolet rays and is enriched with vitamin E, shea butter and antioxidant green tea extract to nurture and moisturise the skin. In Beauty is offering readers the chance of winning one of five. 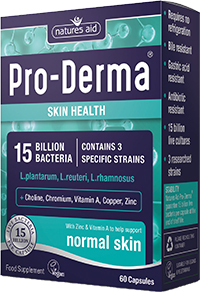 Natures Aid Pro-Derma has been formulated based on the latest scientific research into the many benefits of supporting the microbiome, and provides 15bn bacteria across three extensively researched strains; Lactobacillus plantarum, Lactobacillus reuteri and Lactobacillus rhamnosus. The formula combines these bacteria with zinc and vitamin A to contribute to the maintenance of normal skin, and copper to help maintain normal pigmentation. It also contains chromium and choline and is suitable for vegetarians and vegans. In Beauty is offering readers the chance of winning one of five packs. 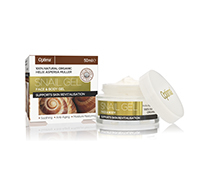 In Beauty has teamed up with Optima to offer readers the chance of winning one of 10 pots of its Snail Gel. This exceptional face cream is formulated to quickly absorb into the epidermis, restoring the natural moisture levels of the skin to help soothe and revitalise, leaving a luxurious feeling of firmness, tone and hydration. 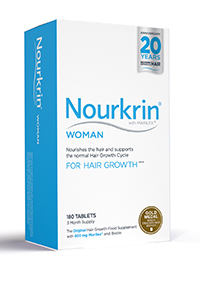 Multi award-winning Nourkrin is a safe, natural, drug-free food supplement formulated to nourish the hair and rebalance the Hair Growth Cycle. Marilex, the exclusive, proprietary ingredient in the tablets, contains the specific proteoglycans which regulate hair follicle functioning, stopping hair shedding and promoting existing hair growth and has been clinically proven to induce and prolong the growth phase of the Hair Growth Cycle. In Beauty is offering readers the chance of winning one of two three-month supplies of Nourkrin Woman. I consent to be contacted by Natural Lifestyle magazine, You can unsubscribe at any time. I consent to be contacted by Natural Lifestyle and the competition provider.